The American Kennel Club has given Wilson County and WC DART the best Christmas present ever……. 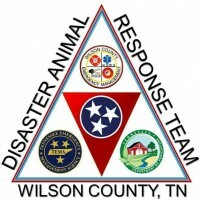 a 16′ Disaster Response Trailer equipped to house 65 Companion Animals!!!!! Totally equipped for disaster response with everything the Team could possibly need…..items we don’t have…..for more efficient response! The AKC and WC DART will be coordinating a Press Release and Presentation of the DART Trailer in the near future, stay tuned for further announcements. A sincere Thank you to the AKC for this generous gift and we know it will be put to good use for the animals in TN. The Nashville Kennel Club, Clarksville Kennel Club, Tullahoma Kennel Club, Greater Murfreesboro Kennel Club, TN Valley Kennel Club of Knoxville TN, Maury Co. Kennel Club and the Pembrooke Corgi Kennel Club of America INC.. All have made this wonderful Grant possible for WC DART. We express our APPRECIATION for this fabulous gift for Wilson County! Thank you to all that contributed!!! WCDART celebrates the New Year with a New Trailer from the AKC!